WOLF BLITZER: A catastrophic day in Iraq, with a death toll well -- well into the hundreds. Car bombs killed at least 43 people in Diyala and at least 76 people were killed in a Shiite marketplace in Baghdad. This as politicians debate whether there's been a letup in the carnage. 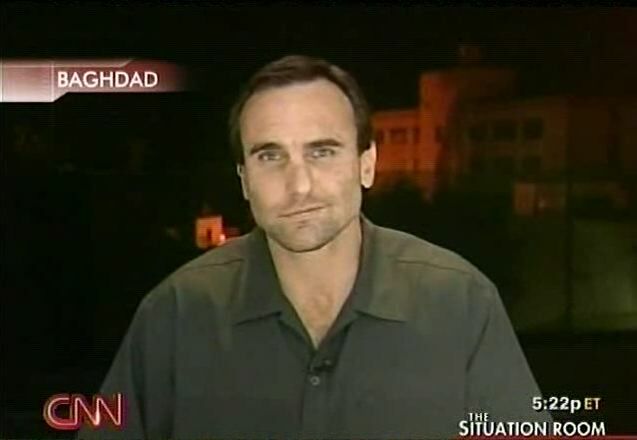 Joining us now, our correspondent in Baghdad, Michael Ware -- Michael, walking around Baghdad, it's become a sensitive subject over the past few days because of various comments. I discussed it earlier in the day today with Senator Joe Lieberman, your description of what's going on there on the scene. LIEBERMAN: But I'll tell you most significantly, the American soldier is more confident walking the streets of Baghdad today. And that's a very important change. BLITZER: You speak to American soldiers all the time. Are they more confident walking the streets of Baghdad today? MICHAEL WARE, CNN CORRESPONDENT: Well, they're certainly never fully confident. But do they see that there has been some kind of adjustment in the broad climate? Absolutely, as has been well noted by these soldiers' U.S. commanders. Their enemies, the insurgents and the Shia militias are by and large laying low at the moment, waiting to get the shape of this surge. Nonetheless, in one of these areas that has been so prominently secured by the U.S. military and its Iraqi partners, where U.S. troops are now basically patrolling all the time with this great confidence, an area that had been controlled by the Mahdi militia, today more than 70 people died when two men detonated themselves in a busy market. And don't forget, we're looking across the country at about 80 American soldiers, sailors and Marines being killed; in March, we're approaching that number again, the third month in a row. So are the soldiers seeing changes? Yeah, sure. But are the fundamental dynamics altering at all? No, not really, not yet. There's a chance, but far too early to tell -- Wolf. BLITZER: A year ago, the president said this, referring to the situation in Tal Afar. GEORGE BUSH, PRESIDENT OF THE UNITED STATES: I'm going to tell you the story of a northern Iraqi city called Tal Afar, which was once a key base of operations for al Qaeda and is today a free city that gives reason for hope for a free Iraq. BLITZER: That was a year ago. The situation had calmed down. But today it looks like all hell is breaking loose in Tal Afar once again. You've been there. You've covered this story. What's going on? WARE: Well, Wolf, I was actually in that battle to reclaim Tal Afar, this city on the Syrian border, from al Qaeda. I was with the 3rd Armored Cavalry Regiment. I was with American Green Berets and I was with the Iraqi troops, the Kurdish Peshmerga, as they battled al Qaeda and took that city back. Whilst that had a huge impact on al Qaeda's operations there, no one for a minute believed that that was going to remove them. The suicide bombings continued, a much lower rate, but no one imagined that al Qaeda would disappear. What have we seen now? We've seen al Qaeda hit yet another market, killing too many people. And then what we saw later that night is essentially Shia police from another Islamic sect go into a Sunni neighborhood and all but execute entire families. So, honestly, the dynamics, the fundamental underlying schisms, what's really driving this war all over the country, are not yet being addressed. We're only talking about the surface.